Japanese designer Kenzo Takada launched Kenzo in Paris in 1970. Today, under the creative direction of Opening Ceremony’s Humberto Leon and Carol Lim, the label is as popular as ever thanks to its refreshed aesthetic. 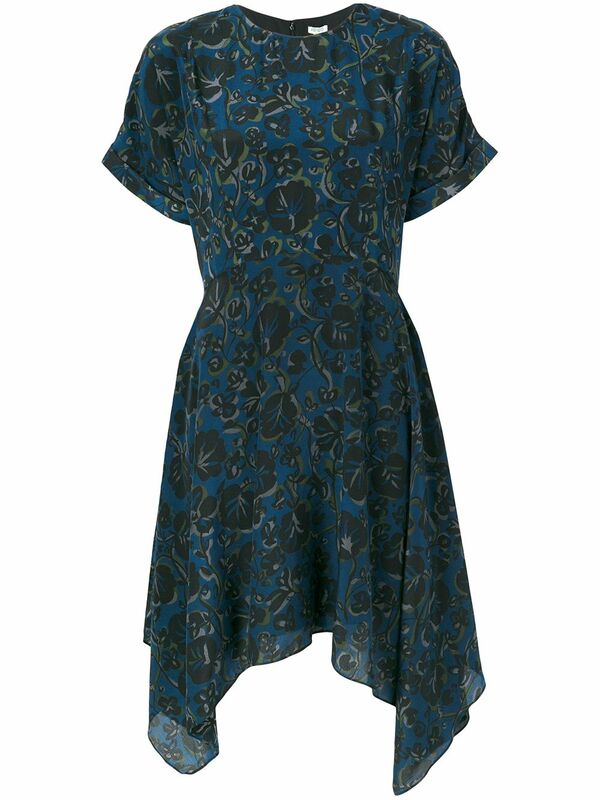 This blue floral dress features a flared skirt, floral pattern and short sleeves.